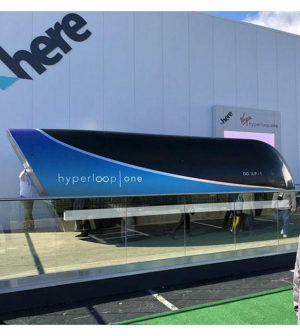 Home > Projects > Could ‘Hyperloop’ tube travel thrive in Missouri? From KMA Land: House Speaker Elijah Haahr, R-Springfield, says Missouri became the Gateway to the West about 100 years ago by building an interstate system. During a press conference this week at the state Capitol in Jefferson City, Haahr said he wants Missouri to be the gateway to the world by building the first-ever Hyperloop system. He has announced the creation of a group of elected officials and business people to study whether a revolutionary high-speed tube transportation network called Hyperloop makes financial sense in Missouri and to come up with strategies that could accelerate construction of a proposed route. The special panel will also examine how to make Missouri the “global epicenter” for research and development of Hyperloop technology. A proposed Hyperloop route is supposed to haul travelers in a tube from St. Louis to Kansas City in 28 minutes with a pit stop in Columbia. A typical road trip from Kansas City to St. Louis might take about four hours, if you don’t factor in stops along the way. Vice chair Andrew Smith of the St. Louis Regional Chamber says a Hyperloop would unify the state and create a single economic development mega region that would make Missouri competitive with some of the top economic development mega regions in the union. “When you look at St. Louis and Kansas City combined, you’re talking about an area that really has the same kind of potential as a Boston, Bay Area or Seattle,” says Smith. Haahr says that the tube system has a much more “far-reaching promise” than a high-speed railroad network. “High-speed rail is about one-third as fast and costs more than the Hyperloop would,” he says.